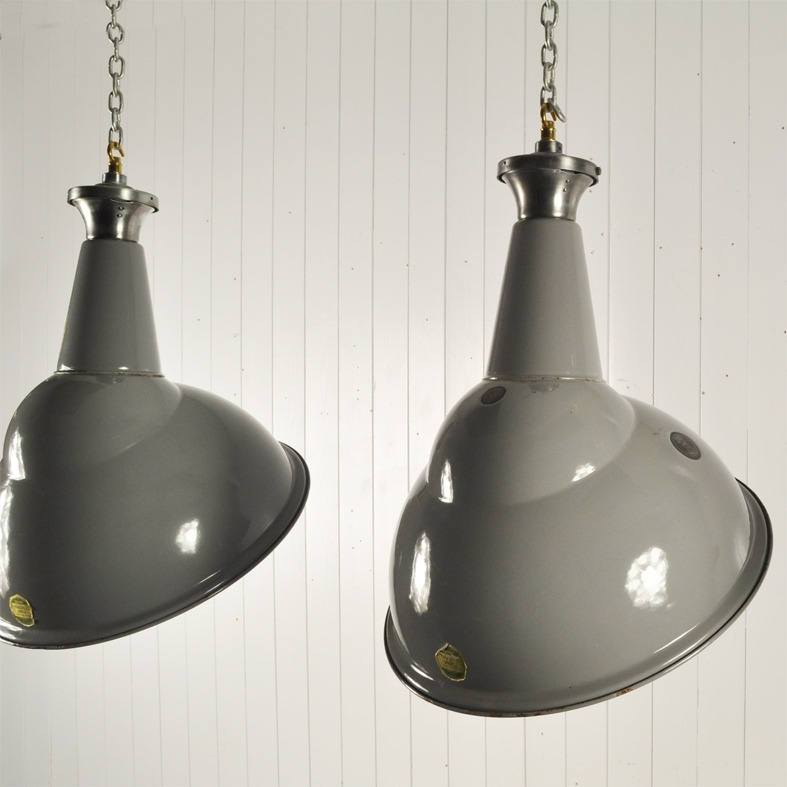 These dove grey, enamel industrial hanging lights are classic English 1930's. Made by Benjamin Saaflux. These are completely original, even having the original stickers on them. A few bumps and scrapes and the odd chip to the enamel - the insides have been replaced with new E 27 bulb holders and are sold with chrome hanging chain, ceiling hook and 1.5m triple braided flex. These are great to light the back of a bar. 61 cm h ( hanging ) x 43 across the shade.